Miss Piggy has challenged George Clooney to a wrestling match at the Orange British Academy Film Awards (BAFTAs) 2012. The outspoken puppet star of new movie ‘The Muppets’ is the official red carpet host of the film awards, and is looking forward to the possibility of meeting ‘The Descendants’ star, who is dating former wrestler Stacey Kleiber. She also promised that the ceremony could be a career highlight for a number of actors’ career, not because they could win awards, but because they will get to meet her. 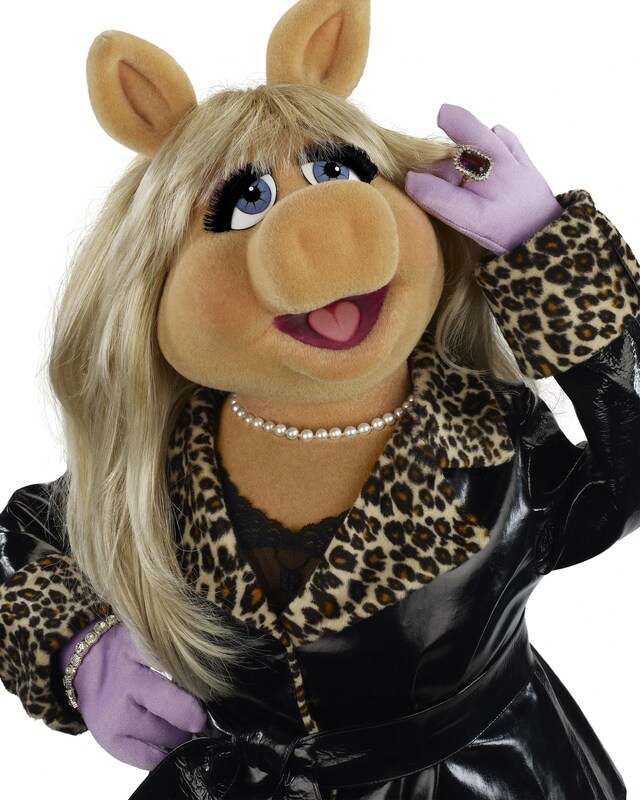 She added: “Imagine the likes of George Clooney, Jean Dujardin, Michael Fassbender, Gary Oldman and Brad Pitt achieving the very pinnacle of their careers by getting a chance to speak with the one and only moi – Miss Piggy! Miss Piggy – famed for her diva personality and glamorous outfits – also thinks there’s only one star who can compete with her in the glamour stakes, Lady Gaga, and has given an insight into her daily beauty regime. She said: “I wake up at the crack of dawn, realise it’s far too early to get up, then go back to bed and sleep until mid-morning. Then first thing, I meet with my personal trainer. Not only is he a gorgeous hunk, but he does the workout for me,” she revealed. The BAFTAs take place at London’s Royal Opera House this Sunday (12.02.12).